RIMS Ranchi Recruitment 2019 Notification released for 362 posts of Staff Nurse Vacancy. Aspirants those who are really interested in getting into the Rajendra Institute of Medical Sciences cab check with the below section and apply for the RIMS Staff Nurse Recruitment 2019 Jobs with the help of Isarkariresults.com. For detailed information regarding the vacancy check through the official notification link provided below. If you have chosen your career destination as medical students and wish to grow up with Ranchi Rajendra Medical Institute, then its time to check with the eligibility details and fill the application for the 362 Vacancies. Candidates application are welcomed through the Offline Application process. Candidates to fill the application form and send it to the below given postal address. Make sure the application reaches before 30th April 2019. The Rajendra Medical Institute is welcoming the application from right from 09th March 2019. So do check the complete section and apply for the RIMS Staff Nurse Recruitment 2019 before its too late. Candidates those who eagerly waiting for the Ranchi RIMS Staff Nurse Jobs 2019 Recruitment, get your career started from here. As per the official notification released by the Rajendra Medical Institute for Staff Nurse Post, aspirants should have the minimum qualification of B. Sc Nursing from a recognized university. Applicants, please do check with the age limit details as that they vary according to the category list. Get to know all the eligibility details such as educational qualification, age limit, salary details, application fee, selection process right here in the below section. Even though we have attached all the details that are listed in the official notification candidates please take a look RIMS Staff Nurse Official Notification 2019 as that which will help you out to know your terms and conditions regarding the Jharkhand RIMS Staff Nurse Vacancy 2019-20. The following are the Educational Qualification details of RIMS Ranchi Recruitment 2019. Candidates should have completed with B.Sc (Nursing) from a recognized university & should be registered with Indian Nursing Council/ State Nursing Council. For detailed information about the educational qualification check through the official notification. Refer through the official notification to know about the PayScale details. Post the application form to below given postal address. Make sure the postal reach the office before the last date. 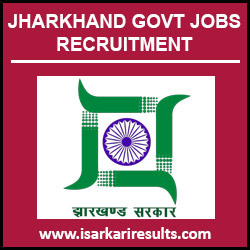 Why Isarkariresults for RIMS Ranchi Recruitment 2019? Sarkari Result is the one stop Solution for RIMS Ranchi Recruitment 2019. isarkariresults.com ensures that we provide all the Notifications and Updates Released by Rajendra Institute of Medical Sciences 2019. We are Promising the Users that, will never miss any of the RIMS Ranchi Recruitment 2019. Candidates need to do a Simple Task to Stay Updated with RIMS Ranchi Careers 2019 Notification, that is they have to visit www.isarkariresults.com daily or subscribe to our Notifications. An applicant can get all the Job Openings of RIMS Ranchi Recruitment 2019 Notification details here.